Friday General Admission includes: 25+ bands daily on five music stages // Celebrity and chef performances on the culinary stage // Great sight lines throughout the venue // Access to gourmet food from the Napa Valley’s finest chefs and restaurateurs // Dozens of wine cabanas where you can sip, savor and mingle with your favorite vintners making every festivalgoer feel like a VIP // Access to craft beer and specialty cocktails // Friday festival access. /// Bag policy: All bags are limited to two-pockets or less and must measure 14" x 14" or less. No backpacks are allowed. For expediency, we recommend using a clear bag. Fast Lanes will be available for guests entering with NO BAGS. Saturday General Admission includes: 25+ bands daily on five music stages // Celebrity and chef performances on the culinary stage // Great sight lines throughout the venue // Access to gourmet food from the Napa Valley’s finest chefs and restaurateurs // Dozens of wine cabanas where you can sip, savor and mingle with your favorite vintners making every festivalgoer feel like a VIP // Access to craft beer and specialty cocktails // Saturday festival access. /// Bag policy: All bags are limited to two-pockets or less and must measure 14" x 14" or less. No backpacks are allowed. For expediency, we recommend using a clear bag. Fast Lanes will be available for guests entering with NO BAGS. Sunday General Admission includes: 25+ bands daily on five music stages // Celebrity and chef performances on the culinary stage // Great sight lines throughout the venue // Access to gourmet food from the Napa Valley’s finest chefs and restaurateurs // Dozens of wine cabanas where you can sip, savor and mingle with your favorite vintners making every festivalgoer feel like a VIP // Access to craft beer and specialty cocktails // Sunday festival access. /// Bag policy: All bags are limited to two-pockets or less and must measure 14" x 14" or less. No backpacks are allowed. For expediency, we recommend using a clear bag. Fast Lanes will be available for guests entering with NO BAGS. 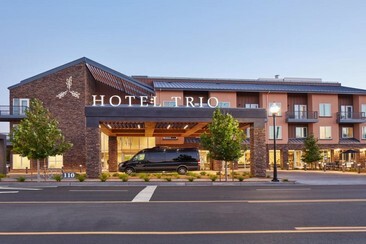 Hotel Trio Healdsburg is situated in Healdsburg, 2.1 km from Healdsburg Plaza. It features free bikes and an outdoor swimming pool. In addition, the hotel provides a fitness centre and barbecue facilities. Guest rooms at the hotel are fitted with a seating area, a flat-screen TV, coffee machine and a private bathroom, while some rooms have a balcony. All guest rooms at the hotel include air conditioning and a desk. Round trip transportation to and from the festival/from Sonoma. Buses are operated by FestDrive. When you arrive at the bus pick up, please check in with FestDrive staff to receive your wristband. If you purchased a 3-day pass, your wristband will be valid for 3-days. If you purchased a 1-day pass, your wristband will be valid for 1 day. **PLEASE NOTE** ALL buses are guaranteed to be there at least 1 hour post final act. Buses however will not leave EARLY unless they are full. They will begin staging to depart at ALL locations at 9pm. Round trip transportation to and from the festival/from Mill Valley. Buses are operated by FestDrive. When you arrive at the bus pick up, please check in with FestDrive staff to receive your wristband. If you purchased a 3-day pass, your wristband will be valid for 3-days. If you purchased a 1-day pass, your wristband will be valid for 1 day. **PLEASE NOTE** ALL buses are guaranteed to be there at least 1 hour post final act. Buses however will not leave EARLY unless they are full. They will begin staging to depart at ALL locations at 9pm. Round trip transportation to and from the festival/from Oakland. Buses are operated by FestDrive. When you arrive at the bus pick up, please check in with FestDrive staff to receive your wristband. If you purchased a 3-day pass, your wristband will be valid for 3-days. If you purchased a 1-day pass, your wristband will be valid for 1 day. **PLEASE NOTE** ALL buses are guaranteed to be there at least 1 hour post final act. Buses however will not leave EARLY unless they are full. They will begin staging to depart at ALL locations at 9pm. Round trip transportation to and from the festival/from Sacramento. Buses are operated by FestDrive. When you arrive at the bus pick up, please check in with FestDrive staff to receive your wristband. If you purchased a 3-day pass, your wristband will be valid for 3-days. If you purchased a 1-day pass, your wristband will be valid for 1 day. **PLEASE NOTE** ALL buses are guaranteed to be there at least 1 hour post final act. Buses however will not leave EARLY unless they are full. They will begin staging to depart at ALL locations at 9pm. Round trip transportation to and from the festival/from San Francisco. Buses are operated by FestDrive. When you arrive at the bus pick up, please check in with FestDrive staff to receive your wristband. If you purchased a 3-day pass, your wristband will be valid for 3-days. If you purchased a 1-day pass, your wristband will be valid for 1 day. **PLEASE NOTE** ALL buses are guaranteed to be there at least 1 hour post final act. Buses however will not leave EARLY unless they are full. They will begin staging to depart at ALL locations at 9pm. Round trip transportation to and from the festival/from Palo Alto. Buses are operated by FestDrive. When you arrive at the bus pick up, please check in with FestDrive staff to receive your wristband. If you purchased a 3-day pass, your wristband will be valid for 3-days. If you purchased a 1-day pass, your wristband will be valid for 1 day. **PLEASE NOTE** ALL buses are guaranteed to be there at least 1 hour post final act. Buses however will not leave EARLY unless they are full. They will begin staging to depart at ALL locations at 9pm. Round trip transportation to and from the festival/from San Jose. Buses are operated by FestDrive. When you arrive at the bus pick up, please check in with FestDrive staff to receive your wristband. If you purchased a 3-day pass, your wristband will be valid for 3-days. If you purchased a 1-day pass, your wristband will be valid for 1 day. **PLEASE NOTE** ALL buses are guaranteed to be there at least 1 hour post final act. Buses however will not leave EARLY unless they are full. They will begin staging to depart at ALL locations at 9pm. Immerse yourself in the Napa Valley craft brew scene with this all inclusive brew tour! 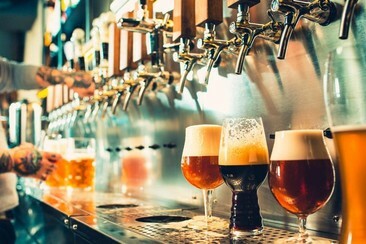 Join a small group of fellow beer lovers for a six-hour, all-inclusive tour of craft breweries in down-town Napa, curated by a local brew expert. Enjoy exclusive offerings from the areas best craft breweries while learning the craft brew process, tasting the final product and even pairing seasonal fare with small production beers. Get out and explore the uncharted territories of Napa Valley’s backcountry on this private hiking tour! Come with us on an exclusive hike featuring spectacular views, hidden features, and untouched landscapes. Learn about terroir, history, and wine-making heritage. 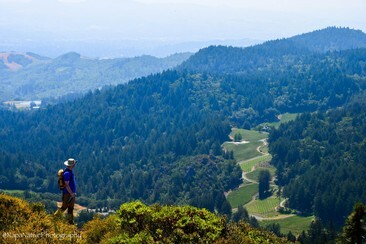 Quality photos are taken throughout the experience, capturing your memorable wine country hike. Paddle the tide on this Napa River Tour, while experiencing the biodiversity of Northern California wetlands! The headwaters of the Napa River are forged at the base of Mount St. Helena, and twisits and turns through the heart of Napa Valley until it drains into the Bay area. Take the opportunity to experience the lush, forested corridors of the upper Napa River as you head through urban downtown Napa, toward the wetlands of the Carneros region. 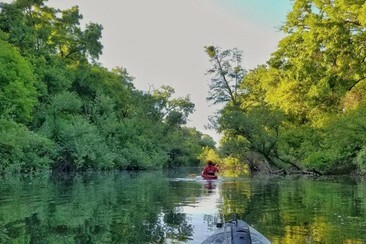 You can choose to ride a paddle board, or cruise in a kayak while you learn about the history of Napa, its wine region and of course, the river. Napa Native is dedicated to providing an authentic & outstanding experience with unique itineraries and world class wines only offered in Napa or Sonoma Counties. Every itinerary Napa Native make is entirely unique and every wine tour is private. 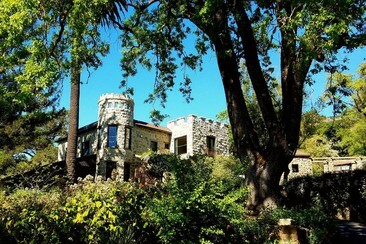 An immersive tour across Napa Valley, with three stops at small producing wineries. Enjoy private experiences with a behind the scenes look at the wine-making process. Followed by a barrel tasting and picnic lunch with views of wine country. Transportation is included. 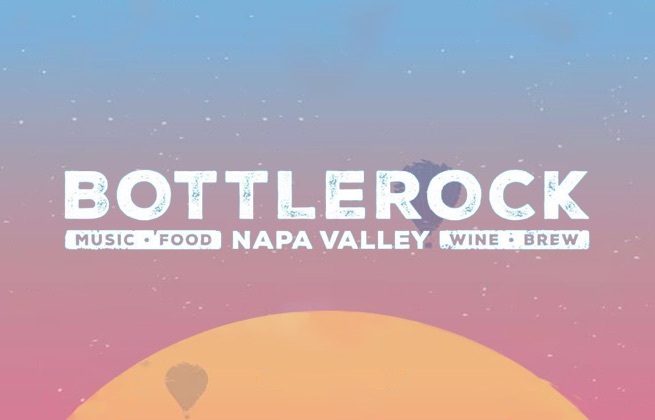 BottleRock is a multi-genre music festival taking place in California's Napa Valley. A classic three day weekender, the festival features the world’s top musicians on five music stages, plus its famed BottleRock Culinary Stage which showcases one-of-a-kind culinary and celebrity mashups. Of course anchored by its musical programming, attendees also get access to extraordinary wine, food and hospitality for an authentic wine country experience. Heading into its seventh year, BottleRock is the region's original major music festival and has successfully melded the musical and wine worlds. Beyond the three day main event, the festival will host a slew of pre and after parties in surrounding cities soundtracked by artists on this year's lineup, running from February 22nd to May 26.